1. Stormy Weather is a Feature. Rain in the U.K. is a given, and talented wedding photographers don't just deal with it, they celebrate it. 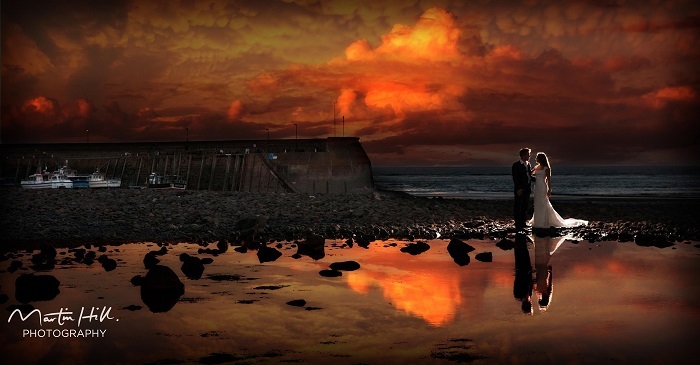 With artful lighting, stormy skies and water reflections make for spectacular fine art wedding photos. Photographer Martin Hill told me, "British couples are often more reserved than other bride and grooms from around the world and often don't enjoy having their pictures taken. It's for this reason I encourage them to become more figures in the landscape rather than be the centre of attention." 2. They throw flower petals instead of birdseed. Birdseed is great, but not nearly as pretty as flower petals. 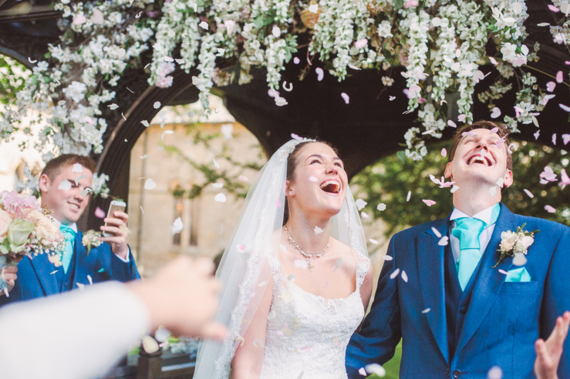 Lancaster wedding photographer Nichola Morton tells me that some brides opt for paper wedding confetti instead. The birds might not help you clean up, but a shower of color adds something truly special to your wedding photos. 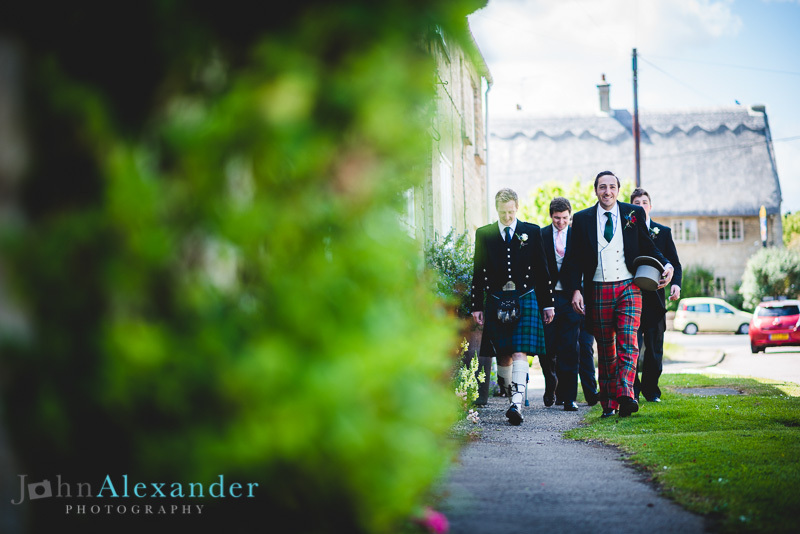 You don't see a lot of kilts here in the U.S., but traditional Scottish tartans are a common sight at U.K. formal events. Photographer John Alexander captured this wonderful photo of a groom and his groomsmen on their way to a wedding in colorful tartans. 4. They hire London buses. When you have to get an entire wedding party from point A to point B, what better mode of transportation than an iconic London bus? 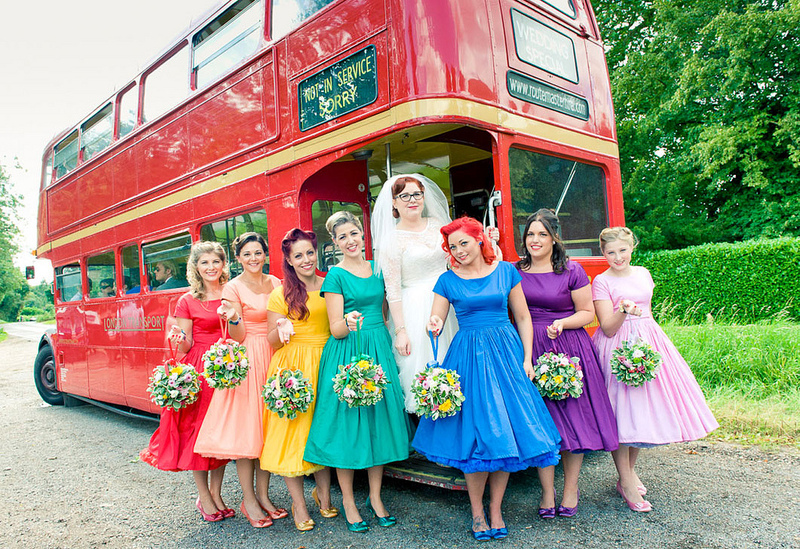 Routemaster Hire was kind enough to provide this wonderful photo of a wedding party boarding a double-decker bus. 5. And a silver sixpence in her shoe. "Something old, something new, something borrowed, something blue" is familiar, but did you know there's more? The poem goes on "and a silver sixpence for her shoe." It's a tradition that dates back to the 16th century. The coin, placed in the bride's left shoe, was part of the dowry and considered good luck for the new couple. Modern brides often opt to glue the coin to the left shoe - far more practical considering today's styles. 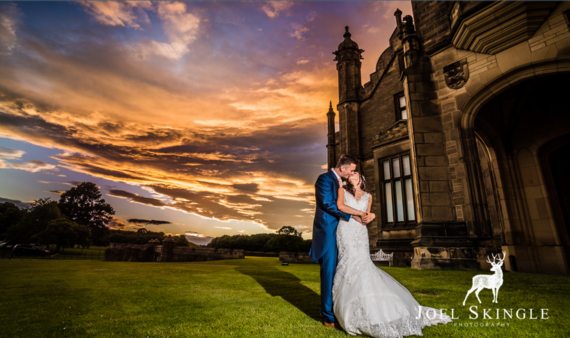 This intimate moment between a bride and her dad was captured by Nichola Morton. 6. They take sweets very seriously. 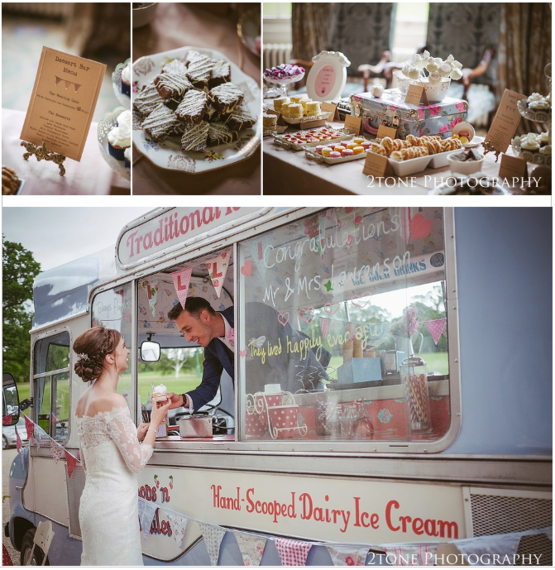 We may share a love for sky-high wedding cakes, but U.K. weddings often go above and beyond by featuring a table laden with desserts of all kinds. Baked goods, jars of candy, and even ice cream carts are common. 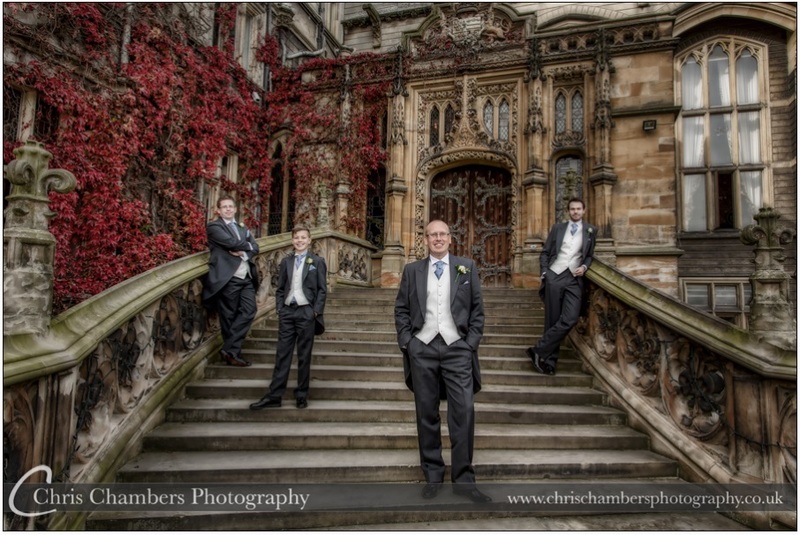 These photos, taken by Nigel Davidson of 2Tone Photography, are from the same wedding! 7. Hats are really a thing. It's not just royal weddings. Guests in glorious hats are found at many U.K. weddings. When you're getting married at a castle, it's probably best to go all out. 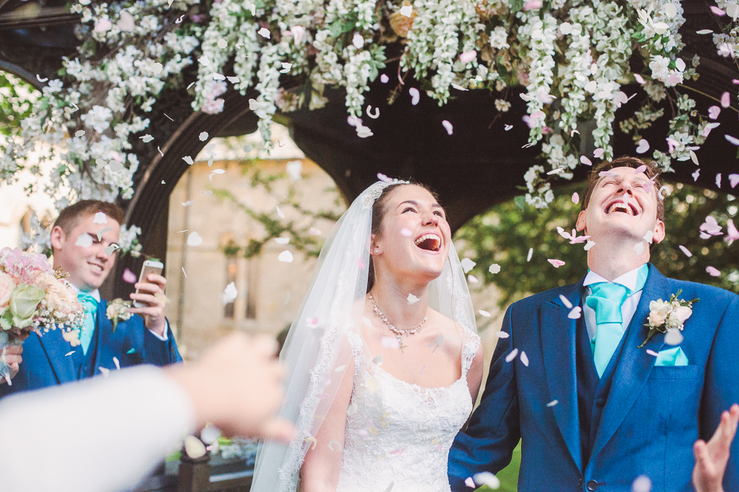 Italian wedding photographer Amy Turner regularly visits the U.K. to capture extraordinary nuptials. At this wedding, held in the incomparable St Margaret's Church at Westminster Abbey, the groomsmen wore proper tailcoats and top hats, and the bride sported an elegant fascinator trimmed with a lace veil. 8. Grooms are not afraid of color. While most U.S. grooms don predictably black, gray, or white tuxes and limit color choices to complementary cummerbunds and ties, U.K. grooms often opt for blues, greens, browns, and the occasional tartan. 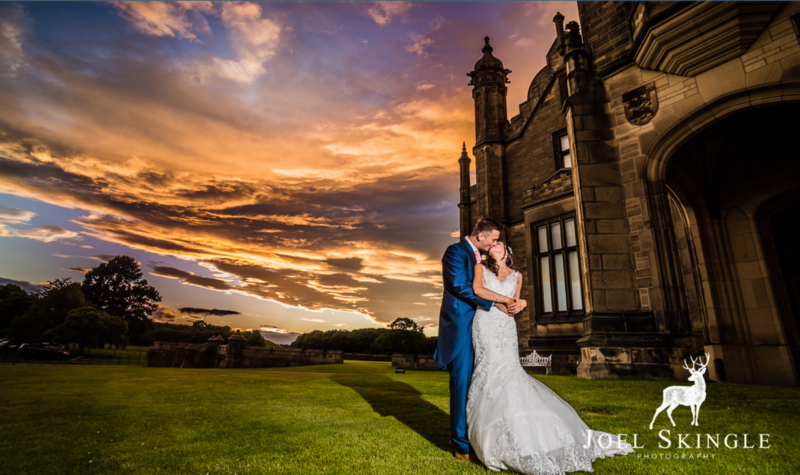 Photographer Joel Skingle captured this magnificent photo of a beautiful bride and her groom resplendent in bright blue tails. 9. They take their heritage on the road. When this British couple decided on an island destination wedding in the Dominican Republic, they took their heritage with them. Did I mention that U.K. men don't shy away from color? 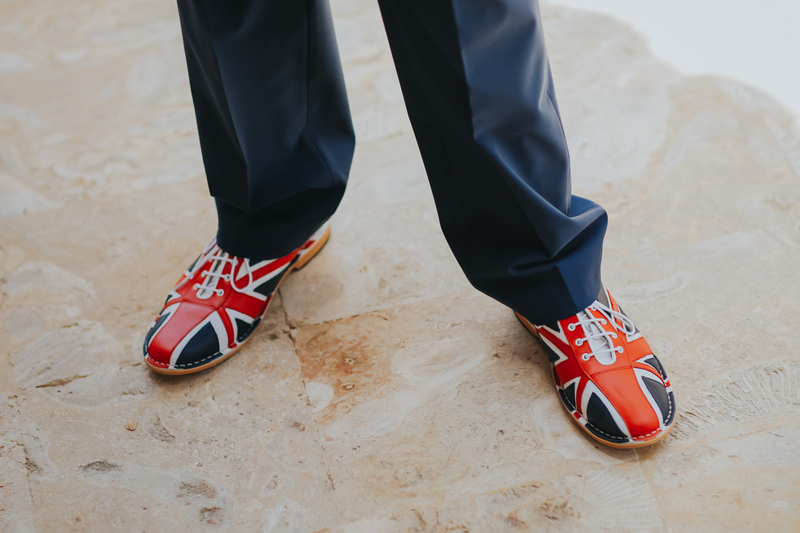 Punta Cana Photographer Gaston Garcia sent me this wonderful shot of Union Jack shoes from a British wedding ceremony. 10. They book epic venues. Castles, cathedrals, manor houses, ruins...incredible historic venues are everywhere. Pictured is the ornate entrance to Carlton Towers in Yorkshire, a private mansion owned by Lord and Lady Fitzalan Howard, captured by Chris Chambers Photography. 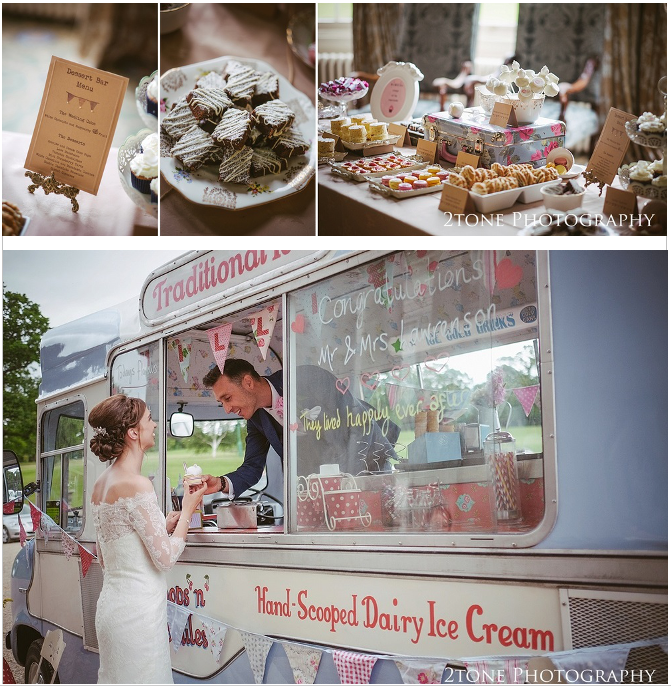 If your dream is a fairytale wedding, the U.K. is definitely the destination for you!